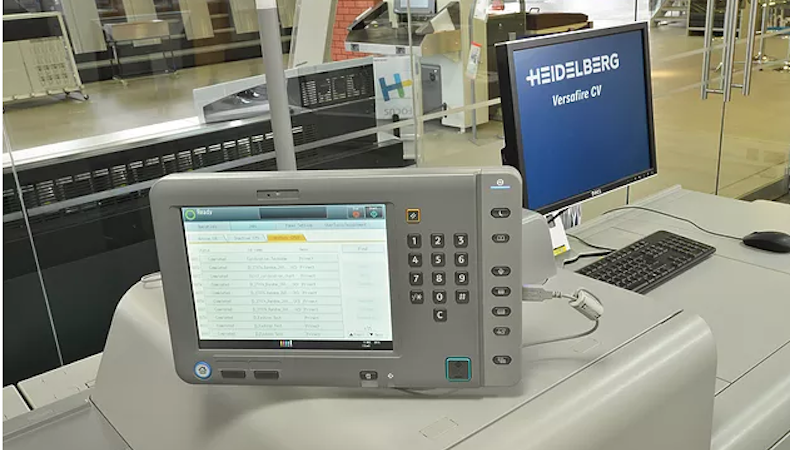 Financial Data Management (FDM) has boosted its digital capacity with a new Heidelberg Versafire CV 80 press to cater for growing demand for short-run, high-quality jobs. East London-based Financial Data Management (FDM) operates a range of litho and digital presses and specialises in printing and mailing services for public and private sector organisations. FDM caters to clients in the public sector but has seen a rise in demand from private sector clients over the past decade. The company was incorporated in 1993 and operates a range of litho and digital, colour and mono machines. "We are seeing a lot more short run, high quality colour print runs of brochures, pamphlets and other promotional material," explained FDM operations manager Bobby Rogers. "We opted to buy the Versafire CV from Heidelberg because the front end marries in with equipment we run in the litho department." The company has configured its Versafire with the optional fifth unit – adding the ability to print high-opacity white, varnish, neon yellow or neon pink. Mr Rogers believes that the fifth colour and demand for 6pp A4 will provide useful added value options for its customers. Most are London-based but the geographical spread of its market is expanding. The press will be delivered w/c 16 October; the operators trained and it will go straight into flexible day production producing short run, quick turnround work. The machine runs an extended sheet size of up to 323x792mm and will be used to produce high-quality brochures, pamphlets and other promotional materials.